Continue on to see the full UFC 2 roster. 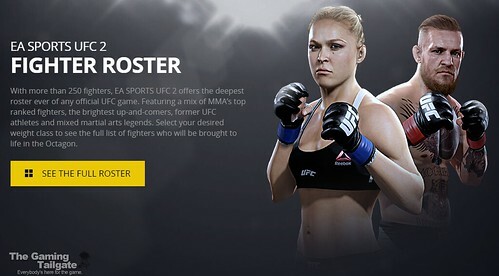 With more than 250 fighters, EA SPORTS UFC 2 offers the deepest roster ever of any official UFC game. Featuring a mix of MMA’s top ranked fighters, the brightest up-and-comers, former UFC athletes and mixed martial arts legends. It's good to see a pretty deep female roster here.